Joshua T. Sullum, M.D. (New York) - Book Appointment Online! 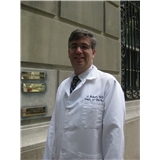 Dr. Sullum is a solo practitioner in Obstetrics and Gynecology on Manhattan's Upper East Side. He provides personalized and attentive care in a boutique private practice setting. Dr. Sullum's practice focuses on prenatal care, obstetrics, well-woman visits, HPV, sexually transmitted diseases and abnormal pap smears. Dr. Sullum provides care to patients from all five boroughs of New York City as well as Long Island, New Jersey and the greater New York area. Additionally, he takes care of patients who are traveling from abroad. Was quick to see me and very professional. Would recommend to a friend.